- On Chinoiserie in Black Kintsugi is the Japanese art of broken plates mended together, with the mended edges painted as accents. The sim eating a toaster pastry is my version of Ness' mother. For more information on her hair, outfit, skintone or anything else, please ask - this sim is part of a bigger set which is not finished yet and not uploaded anywhere. ***I had many other sets here, but I was not entirely happy with them. If I can find the time, I'll fix them, and reupload them here later. 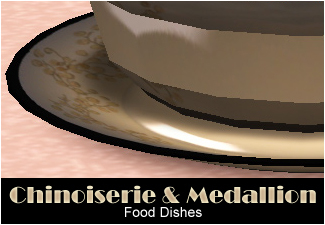 My plates are DEFAULT REPLACEMENTS, they replace the food plates normally used in the game when Sims eat. Some custom foods have their own custom plates, which will not be replaced. Please use one set of Default Replacement plates at a time, if you try to use several sets at once, only the latest set will show up in your game. Default-Replacement Plates When you make a default-replacement for anything, you need to use your textures and the texture names of the original content in the game. In this case, the original plate texture names are platedinner-clean_txtr, platedinner-dinnerdirty_txtr, platedessertcakedirty_txtr and platedessert_txtr. 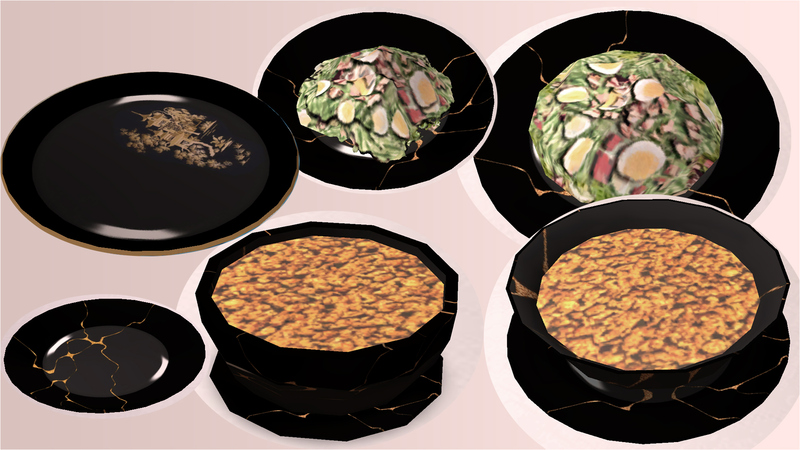 The Dinner ones are used by the game on the group plate, group bowl, single plate and single bowl; the Dessert ones are used on the small dessert plate. 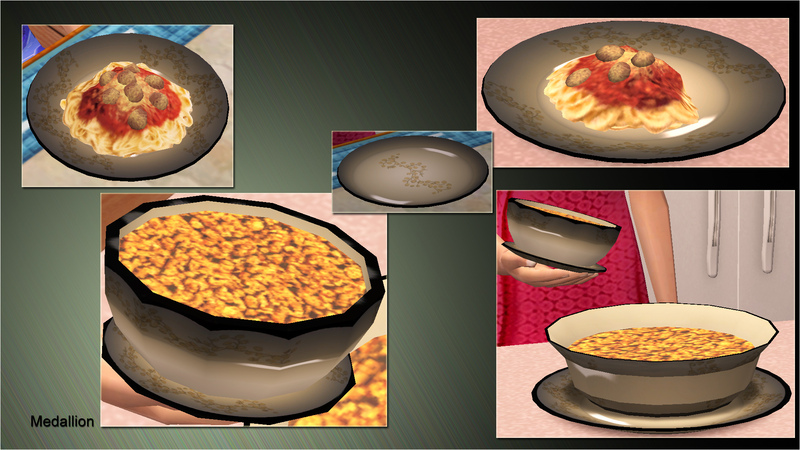 Only the small dessert plate can handle an illustration in the middle without distorting it; if you try to place anything in the middle of the Dinner textures, the bowls will distort it horribly. The designs on my Chinoiserie and Medallion plates were taken from Chinoiserie and Medallion, two build mode sets I made and uploaded here in 2007. The Chinoiserie and Medallion patterns come scans of real-life leftovers of wallpaper bought from York Wallcoverings back when 3 people of my family decorated their kitchens again at the same time. I edited those scans and recolored them for Sims 2 - my colors never existed in their catalog. The scans were imperfect and while working to fix them, I retextured and recolored them. If you had to find real-life examples again, you could never find the exact same as mine.